to provide the opportunity to those seafarers who are not able to attend HELMEPA’s ashore seminars to obtain knowledge and proficiency on a series of safety and environment-related matters. 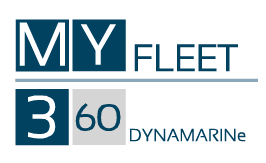 HELMEPA wishes to warmly thank DYNAMARINE for its invaluable, entirely voluntary assistance in helping establish this Online Training System tool. Their technical guidance and advice is very much appreciated, as is their dedication to the project and professionalism in ensuring its delivery. In case you have any issue with the presentations, please check that you have installed adobe flash player in your computer and you have enabled the adobe flash player to run in the browser. For best experience use Firefox or Chrome web browser.